Setup Area: 18 foot by 16 foot level space is needed. 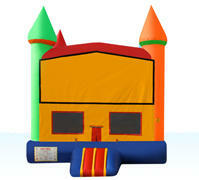 Bright colors and a large jumping area make the Rainbow Castle a favorite for all! 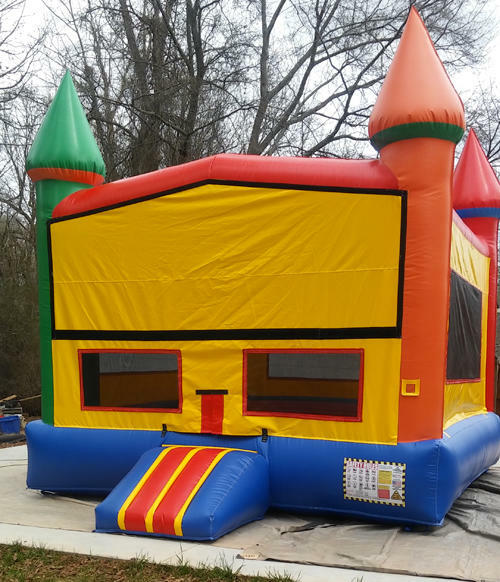 This large bounce house features bright colors that combine well with any party theme, an inflatable ramp at the entrance, and large netted vent windows to keep things cool for the kids and allow parents to keep an eye on all activities.